27 Jun: Saturday 30th June - Oatlands classes held in Cricket Way Open Space, Weybridge. Hi, you've just scored a hat-trick of football, fitness and fun! 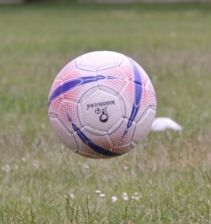 Thank you for visiting us here at Kiddikicks, the number 1 football coaching site for under-7's! Our aim at Kiddikicks is simple. 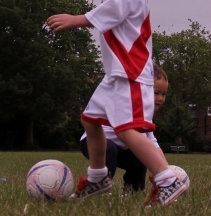 To provide the very best football coaching for toddlers and children around the globe. At Kiddikicks parents are as important as little ones! You have to be there but you do not have to sit in the dug-out - Kiddikicks encourages parent participation. If your child is football mad, we also offer football-themed birthday party entertainment.